Ottoman historian Professor Mehmet İpşirli responded to our questions on the topic of “Ottomans and the love of prophets.” İpşirli shared some interesting historical events relating to the issue alongside his systematic evaluations. 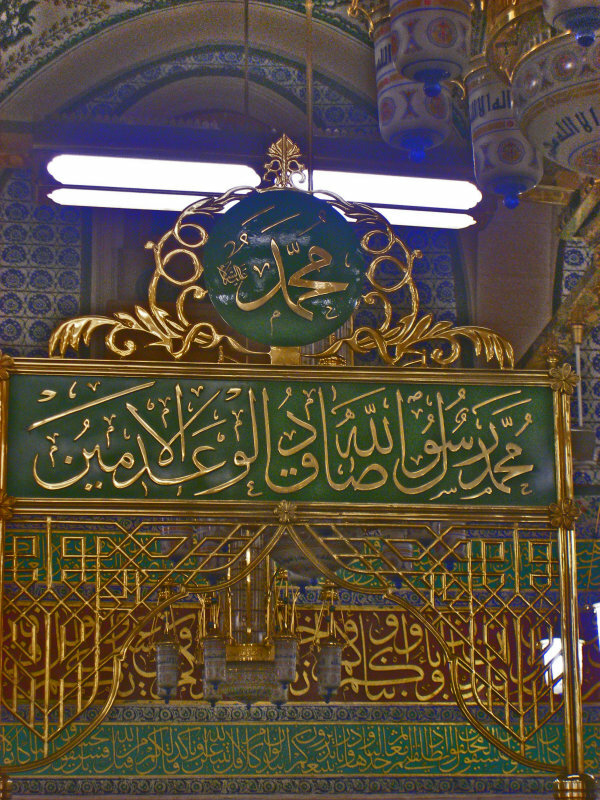 How did Ottoman sultans approach Prophet Muhammad (pbuh) and His sacred trusts? First off all, we must make a general observation about the tie between Ottomans and Islam. According to a widely-held belief by researchers – one which even Western Orientalists voice from time to time – the Ottoman dynasty was the dynasty most respectful to Islam, following the rules of Islam most closely right after the four great Khalifas. And in reality, when one examines the lives of the sultans, despite having many personal shortcomings and deficiencies, we see that they were most respectful to Islam and Prophet Muhammad in particular. They loved Islam and its prophet with deep sentiments that were not artificial, but came from within. This is surely a reflection of the education they received. It is British Ottoman Historian and Orientalist Bernard Lewis, who makes the best observation regarding this matter. Lewis provides a long list of Ottoman titles in relation to this, noting that the Ottomans were sincere with regard to Islam that their identity had become synonymous with that of Islam. He states that their country’s name was not the country of Ottomans, but Memalik-i Islamiye (The Nation of Islam), their emperor’s name was Padisah-i Islam (The Sultan of Islam), their army was called Asakir-i Islam (Soldiers of Islam) and the clergymen were referred to as Şeyhulislam (The Scholar of Islam). This shows that Ottoman and Islam became innately identifiable with one another. In short, we need to talk about an integrated system where the Ottomans and Islam is concerned. The love of Islam and Prophet Muhammad was placed at the center of the Ottoman existence as a comprehensive system and not as a sentiment that changed from one sultan to the next in a sporadic fashion. The respect give to these trusts by the Ottomans is very important in this regard. We can see demonstrations of this respect during visitation to the Hırka-i Şerif (The Holy Cloak) chamber during certain times and careful removal the Sancak-i Şerif (Sanjak Sharif) from the chambers so it could be taken along when heading out for expeditions. Can we speak of the Prophet’s “artistic expression”? We see the most beautiful discourse expressing the love of the prophet in poems. The love of Prophet Muhammad held an important place for Ottoman sultans and Ottoman poets. Some divan poets are particularly talented in this realm. One such poet is Nabi. Nabi is from Urfa and it is very important that a poet such as Nabi grew up in a rural city such as Urfa. Nabi, who arrived in Istanbul in his twenties, was taken under the protection of Musahip Mustafa Pasha, becoming the scrivener to the Pasha’s council. And than one day Musahip Mustafa Pasha says that he’ll be heading to pilgrimage along with Nabi. During that period, going to hajj is a difficult activity. At the time, Hajj is an act performed only by the wealthy. Nabi becomes extremely happy to hear this. Preparations are then made for Hajj. There were baskets placed on both sides of large camels, which functioned as seats back then. Nabi and Musahip Mustafa Pasha sat on two sides of camel and set out for Hajj. When they approached Medina, Nabi saw the minarets of the Rawza-i Mutahhara and would notice that the Pasha was missing this scene and furthermore his feet were extended toward Medina. And he would thus begin to recite this poem in an impromptu fashion in order to warn the pasha. Where do place works such as Muhammediye and Mawlid in this context? Mawlids are a common societal value for us that have become a part of our lives. They are recited and greatly cherished in today’s world. But it is very important that these books are listened to and made audible as opposed simply being read… Because our society, despite not possessing a great reading culture, has a great listening culture. Perhaps people could not find much time to read, but when books such as these were read, they listened whole-heartedly. So what did they listen to? There were certain books that had become etched into Ottoman society and held in very high regard – these were the books they listened to. Some of these works are Mevlid, Muhammediye, Ahmediye, Kara Davud and Müzekki’n-nüfus. The common trait between all of these books is the love of Prophet Muhammad. So how much has this Ottoman loyalty, love and respect to Prophet Muhammad reflected on to today’s society? We certainly experienced a political shattering. But the love of Prophet Muhammad has nothing to do with the state, politics and the dynasty. This is a human need. Thus this love, after some time following this shattering, turned back to its natural course for us. Many important activities are taking place and many great books are being written regarding Prophet Muhammad in our current day as well. In short, the state we have reached in Turkey today is one which should be envied. Yes, there was a period of great censorship that took place, but right now there is a revival and rejuvenation happening. There are thousands of research works and theses written on the Messenger of Allah. Just about every topic pertaining to Prophet Muhammad is being researched today. Up until today, there have been thousands of theses written on his letters of invitation, his daily life, relations with his family and other aspects pertaining to him. For this reason, Turkey is doing very well in this regard, especially when compared to other countries. Certainly, it’s impossible for this not to be experienced. First and foremost, regardless of whether we want it or not, Western culture is drawing us in. There is an incredible interaction taking place in this regard. This influence can be seen in our daily, educational and cultural lives. Consequently, this Islamic revival in Turkey is difficult as it’s like going against the current. There is an internal shattering take place in addition to external influence that is hard to resist. Other Islamic countries cannot resist this either. Actually the shattering they are experiencing is quite deep. Perhaps the Islamic world will be able to slowly get it’s self together after this. Because it has become understood that Western values are not absolute and they have many flaws and deficiencies. This entry was posted on May 25, 2010 by ASFC in Political Leaders and tagged dua, greetings, honor, King Abdullah, love, Masjid Nabawi, Muhammad, of Prophet, oTTOMANS, prayers, Prophet Muhammad's mosque, respect, salam, salawat.